Legacy Labs Cognitine: Does it even work? We are lucky these days to have a variety of supplements to choose from. The holistic approach can be a much better alternative to modern day medicines that contain man made chemicals – if you get it right. We are here to help make this happen. Our reviews will provide you with all you need to know with regards to a product, to ensure that you get the results you were hoping for! There is no need to take risks or chances when you have the accurate information there to help you decide. Legacy Labs Cognitine, aimed more toward the older generation, promises to improve focus, memory, energy, the brain’s nerve growth, blood and oxygen circulation, and overall replenish the cognitive functions. If you wish to stop lacking when it comes to concentration and do not think that you have the capacity to learn, then this is the product for you! By offering additional supplementary nutraceuticals and neurotransmitters this product hopes to restore anything that may be diminishing when it comes to the mind. There all-natural and organic substances that are combined to create the best effects: Bacopa Monnieri, Vinpocetine, Phosphatidylserine, Pantothenic Acid, Cobalamin, Niacinamide, Folic Acid, DMAE, Pyridoxine HCL and Gingko. The powerful herb Ginkgo Biloba leaf is extracted to be a cleansing antioxidant. 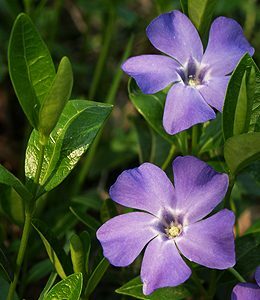 The Periwinkle plant gives us the extract Vinpocetine which resolves issues like memory loss, rectifies problems with concentration and increases oxygen and blood flow. 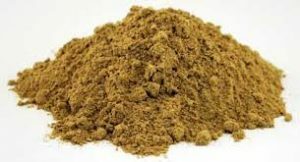 Bacopa Monnieri which is taken from a flower found in India and turned into a powder, boosts GABA neurotransmitters which have beneficial effects making the mind become free, eliminates stress and optimises relaxation. The deficiency in the compound Phosphatidylserine is what causes the effects of aging. This is the substance which improves the nerve chemical functions and replenish cell membranes. Overall health, development, and growth is looked after by Pantothenic Acid as it converts protein, fats, carbohydrates into energy. Folic acid and vitamin B6 lower the levels of homocysteine in the blood when combined with Cobalamin which is also responsible for protecting nerve growth and producing brain and blood cells. Folic Acid also works well with Vitamin B12 for the synthesis of DNA. A precursor to Niacin is Niacinamide and the brain enhancer is DMAE. Generating amino acids is Pyridoxine HCL, otherwise known as Vitamin B6. All substances listed within this brain enhancement were each thoroughly investigated and researched. The price may put people off, especially when the company only have thirty tablets to a bottle and the dose is two per day – meaning that you pay $67 per bottle and you would beed two just to get a month supply. A much better solution that would save so much money as well as provide you with a month supply of quality brain enhancement pills would be to get Optimal Omega at just $19.95. If you wanted, you could also get the other leading brand Brain Gain for the same price and then you have two different formulas that you can try.